For coin dealers, collectors and organizers of auctions, involvement with the history of ancient coins is both a profession and a passion. Every ancient coin, every medal, every medals and even every book is a set piece and a building block in the development of our culture. They are windows which offer a view into the past. 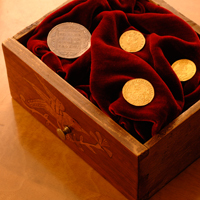 Thus the purchase of gold coins has not only a financial purpose, but also brings a piece of history into the collection. In this area the numismaticians from the Künker Company offer you a look into the most important collection areas, and describe the historical contexts which are reflected in the coins and edals of the various epochs. In addition to the categorization by time period, you will receive a brief overview of the specialized area, the currently available coins and gold coins, and various examples of the typical pieces which belong in every collection. Immerse yourself in the world of images from one of the oldest European cultures with a specialized collection of ancient Celtic coins, and experience the rich symbolism of these treasures. In ancient Greece the central course for the development of European civilization was set. Bring home a piece of European civilization’s cradle with a collection of coins from the ancient world. In their minting practice and monetary policy the Romans laid the foundation for many subsequent developments. Experience the exciting times of the Punic Wars, Julius Caesar’s conquest of Gaul, and the burning of Rome under the Emperor Nero, in coin images! Experience the minting tradition and changing history of the Eastern Roman Empire from the 5th through the 15th centuries with a collection of Byzantine coins. Expert knowledge is required here: become an expert in the ancient coins of the Vandals, Ostrogoths, Visigoths, Suebi and Lombards and experience the time of the “Barbarian Invasions” and the beginning of the European Middle Ages in coin images and inscriptions. In this collection area you will discover 1,000 years of European history, from the earliest coin mintings of the Germanic successor states to the Roman Empire during the “barbarian” Great Migration period, to the coins of the Emperor Maximilian I (1486-1519). Probably no events exercised greater social and cultural influence on the medieval world between the 11th and 13th Centuries than the crusades and the associated founding of Christian states in Palestine and the Mediterranean region. Enter a turbulent epoch and experience the medieval cultural exchange between Orient and Occident. Learn more about the richly varied history of German coins from the Middle Ages to the introduction of the imperial currency in 1871. With his ascension to the throne of the Holy Roman Empire, Rudolf I of the Habsburg line elevated his family’s kings to the status of emperors in 1273. The dynasty can be followed from Rudolph to Karl I (1916-1918), the last Austrian Emperor. Discover the history of one of the most important ruling dynasties of Europe in coin images. Begin an exciting excursion through the (coin) history of the European continent in its coin- and medallion images. Discover ducats and other gold coins of antiquity from diverse regions of Europe. The development of Russian coins unfolded in an astoundingly short time, in an abundance and splendor which, with its impressive coin- and medallion images and its large-sized gold and silver mintings, can quickly put the collector under its fascinating spell. Take the plunge into the fascinating world of ancient oriental minting. A bit of experience with the often well-illustrated literature can lead to quick collecting success in this numismatic world of strange symbols and meticulous organization. Take home a chunk of the history of this big, wide world in coin images, and experience the fascinating coin histories of Latin America, South Africa or India. This is how to start a collection of ancient coins from one of the oldest cultures in human history, and take off on a numismatic journey into the “Middle Kingdom” (Zhōngguó). The turbulent history of Germany in the 20th century produced a multipicity of coin types, as well as emergency-, memorial- and token money mintings, and represents a richly diverse and – due to the broad literary base – easily accessible area for collectors. 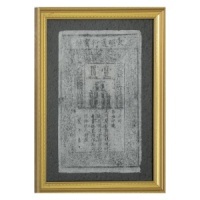 The history of paper money is every bit as fascinating and richly varied as that of metal money. In the beginning there were two archetypes: the receipt and the “IOU”. Follow paper money along its path of development around the world. 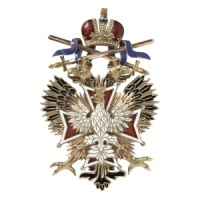 Discover the world of medals – from antiquity to modern times – and start your collection of civil or military awards today.